The Nite Nite is the name of one of the epic male skin outfits for the game Fortnite Battle Royale. The Nite Nite outfit is among the few outfits with unlockable features. 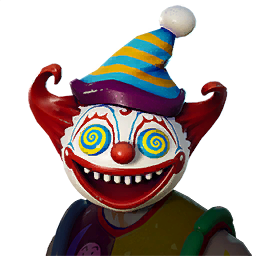 The Nite Nite outfit features a scary-looking clown with a bi-color suit with. The clown also features some long-balloons wrapped together as part of the outfit with many wacky decals and body paints. Depending on the unlocked design, the outfit can appear as a red-haired male with a clown face paint, or as an avatar wearing a creepy looking clown mask with a very big smile. This skin has 2 selectable styles that can be used in-game, check below. This epic costume is part of the Party Parade Set. Obtaining the outfit will also unlock the Balloon Llama back bling. There is 5 cosmetics item in the Party Parade set, check the list below to see which items are included. This outfit can be purchased in the Cash Shop during its random rotation. This skin has 2 selectable styles that can be unlocked in-game, check below. Part of the Party Parade set. Nite Nite high-quality PNG images with transparent background to use them as you wish (YouTube thumbnails, skin concept and so on). Nite Nite rotation history in the Fortnite Shop. Below you can see the first and last time when Nite Nite could be bought from Item Shop, also how many days it was seen and the dates list. This cosmetic item can be re-added in the future, so check the store regularly. Grab the new Heat Wrap and Globetrotter Glider along with Malice in the Item Shop! Complete your Weekly Challenges now to unlock Ruin! 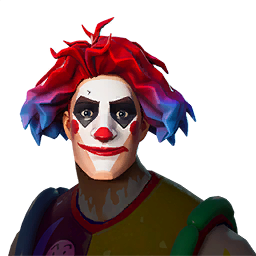 If you buy this skin, you will be considered a clown by me!